One of the old school of Goole’s master mariners, Captain Elmit Cook of 19 Marshfield Avenue, died on Monday at the age of 62 years. Captain Cook had been ill for several months and his death, though a shock to his wide circle of friends and acquaintances, was not unexpected. The whole of the working career of Captain Cook was spent at sea. As a young boy he served in the old sailing schooners that traded from Goole and learned his seamanship in a very hard and practical school. For generations back on his father’s side, his ancestors were sailors from Goole. As soon as he could he became one of the crew of the sailing vessel Mary. Later he joined the Matilda. He was about seven years in sailing vessels and had two long voyages; in the barquentine Glenville from Goole to South America and in the barque Rosendale, a trip of nine months to various South African ports. Captain Cook joined the Goole Steam Shipping Company as a seaman in 1887. His father was master of the Richard Moxon at the time and was master with the company for forty years, later becoming the commodore pilot. 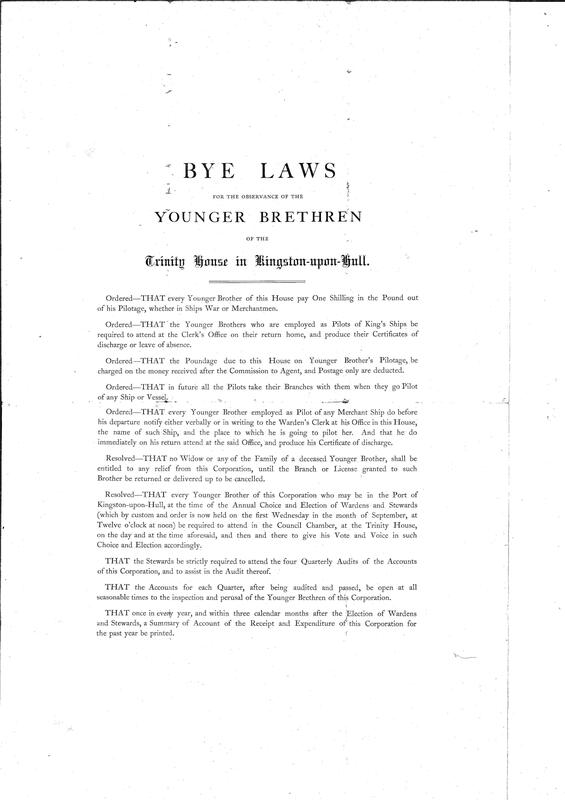 After eight years with the company, Captain Cook was appointed second officer on 24th February 1895. Two years later he was appointed mate securing his pilotage licences in 1902. His smartness commended itself to the owners and after various short periods as master he obtained his first permanent command on 13th February 1906. His ship was the S. S. Rosa. In the next five years, Captain Cook had spells in charge of various steamers of the line including the old Aire, Frankfort, Cuxhaven and Don. 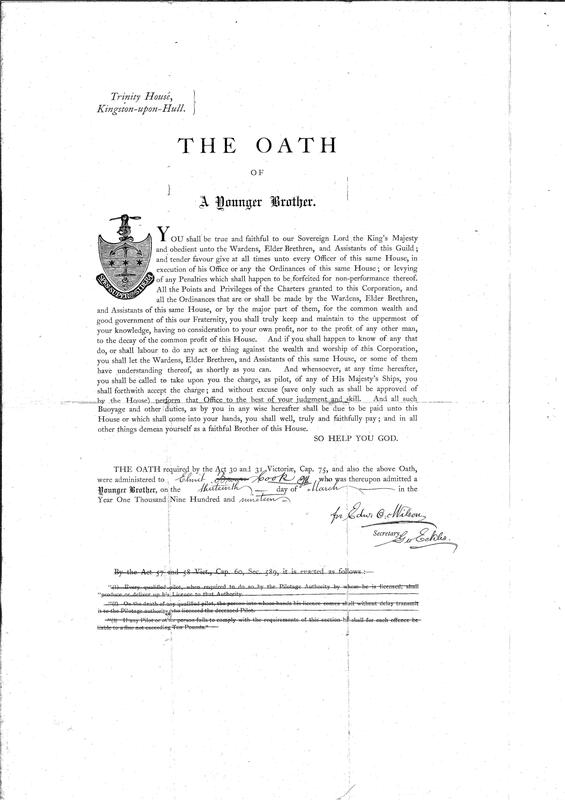 In October 1911, Captain Cook was given captaincy of the Irwell on which he served for nearly 20 years. For short periods he was in charge of practically all the other vessels of the fleet but his regular command was the Irwell, a ship he loved by reason of his familiarity with her. During the war, Captain Cook ran the Irwell across the dangerous zone of the English Channel, between Southampton and Rouen mainly, and between Newhaven and other north French ports. He had, however, surprisingly few adventures considering the danger to which his ship was exposed. Latterly, Captain Cook traded regularly between Goole and Rotterdam with the Irwell. His cheery personality was known not only in English but also Continental ports. At times he took over the Copenhagen service with the Irwell and was in charge of her when she became ice-bound off Denmark in March 1929. A magnificent piece of seamanship on his part enabled the vessel, with steering gear disabled, to be guided to port by means of hawsers from the winches attached to her rudder, after the ice-breaker had cleared a passage in the floes. It will be recalled that that was the occasion of the unfortunate accident which cost the life of Captain Aaron. Captain Cook’s career was singularly free from mishaps to his commands. He knew the navigation of the Ouse, the East and South Coasts, and the approaches to the near Continental harbours as few men did. He was as popular with his crews as he was with his owners and brother officers. When he retired in October 1930, he received the good wishes of many and at a “Blue Water Evening” he was presented by the men of the company with a handsome silver coffee service, and many were the tributes paid to him and his sound record of service. After his retirement, he went to live at Thorne, but it was not long before he returned to the town of his birth. On the committee of the Goole Conservative Club he was one of its oldest members. He leaves a widow, a son and a daughter. The funeral took place at the Goole cemetery on Wednesday afternoon, the Vicar, the Rev. H. E. Wall, M.A., officiating. In addition to the family mourners there were present Captains Ward, Prentice, Sykes, Collier, Laverack, F Sherwood, Bury, Harrison, Siddall, R H Sherwood, J E Taylor, G E Lea O.B.E. Harbourmaster, (present and former captains of G.S.S.) Captain J J Barker and Mr C R Ingleby (representing the Marine Dept. and Commander Clementson), Messrs. W Audas, J Irwin, H H Fox, J W Heseltine (officers of G.S.S. vessels) J Anderson, A E Wray, A Banning, T Porter, F Grant, J R Rea, F P Webster, H Branford, (engineers) T Kendall, T G Gravell, J Clayton, and G W B Hall, (retired engineers), J W Mapplebeck, (representing Mr E G Garstang), A W Tree, W A Wilson, and F Redford (marine engineering department), Major T Calvert (stevedore) Messrs. F Woodhead, A Harnew, R collier, M T Lea, B Sherwood, F Porter, P Greenfield, J P Kitwood (representing G.S.S staffs) West Collier, G Kent, J Ellis, W Hill, H Tate, G Scott, H M Tasker, Mrs Pilling, Hull, Mrs A Pilling, Mr A Hindley, Mr C Melrose, and Captain Sanderson, Hull. The Goole Conservative Club was represented by Messrs. R W Cooper (steward) J Wrightson, W Halkon, T H Halkon, J Wood, and R Harland. The family mourners were Mrs Cook (widow) Mr and Mrs H Cook, (son and daughter-in-law) Miss E Cook (daughter), Mrs Mason (cousin) Mr a Rowbottom (bother-in-law), Mr and Mrs Heseltine (brother-in-law and sister), Mr R W Rowbottom (nephew). Wreaths were sent by:- Wife and daughter; Edith and Herbert; Alice and Athwell; Alberta and Jack; Emily and Aunt Martha; Mrs pilling, Hull; Gladys and Jack; Capt. and Mrs Harrison; Capt. and Mrs Willmott; Capt. and Mrs Sykes; Capt and Mrs Taylor; Capt and Mrs Anderson Capt and Mrs Siddall; Mr and Mrs Metcalfe; Hettie and George; Bert; Mr and Mrs Powell; Mr and Mrs Gravell; Mr and Mrs Calder; Mr and Mrs Wrightson and George; Mrs Cawthorne and family; Marine Superintendents and staff; L.M.S Goole, Steamship Manager and staff; Mebers of the Goole Conservative Club.